Jon Ettelson is in his 11th year as a Realtor. His real estate experience is vast and includes transactions from investment sales and purchases, to luxury high-rise sales. Jon's strong work ethic and warm, friendly personality is in part, a product of growing up in the farm belt, born and raised in Iowa. Later, Jon moved to Denver and began his real estate career in the mile-high city, helping family and friends with their real estate needs, while simultaneously managing a restaurant! In 2009 Jon was recruited to sell luxury high rise units in Seattle and after closing over $10,000,000 in 2010, Jon and his wife decided to move their young family to settle in beautiful Orange County, California. Jon dove head first into real estate and completed an amazing 100+ transactions in just 24 months. As Jon's schedule became increasingly busy with buyers, sellers and tenants/landlords, he realized that starting a real estate team would enable him to give his clients the best possible service. Jon chose to join Coldwell Banker as a team leader. As a member of this award winning team, Jon is able to offer his clients additional full-time administrative, marketing and transactional support throughout the real estate buying/selling process. 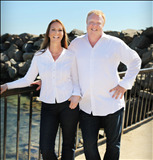 Personal: Jon resides in Laguna Niguel with his wife and two boys, ages 12 and 4. In his spare time he enjoys time with the family, preferably at the beach, sponsoring charity events and an occasional round of golf. Jon attends Saddleback Church regularly and is a member of the mens group.